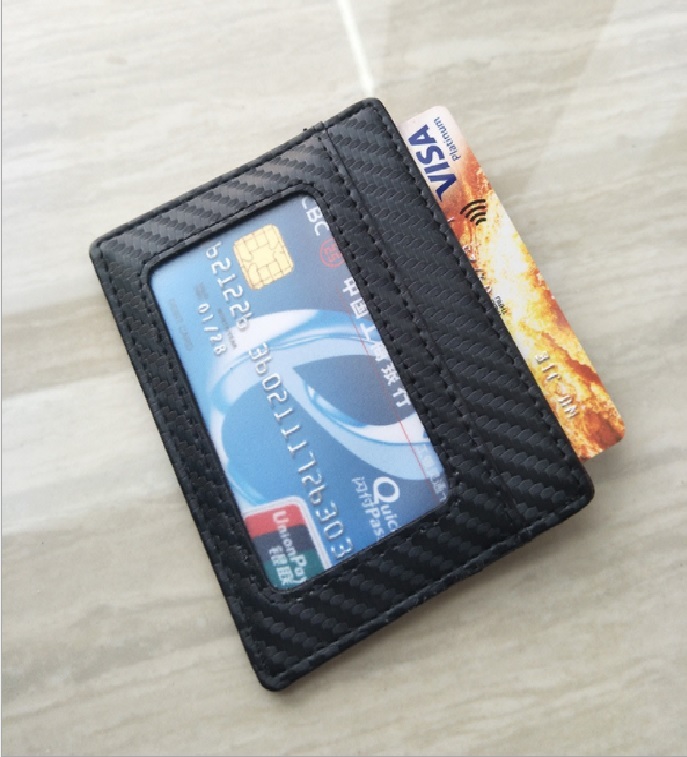 The card package is made of PU carbon fiber. You can put credit card, license and cash inside. Custom logo is available. Package: 1 pcs/poly bag, 450 pcs/ctn, 26.4 lbs/ctn.